Today’s guest blogger, CRM MVP Frank Lee, provides tips and tricks for bulk emailing with pictures that he found to be very useful. A common CRM task during Holiday Seasons is to send out personalized Email greetings with images to customers. 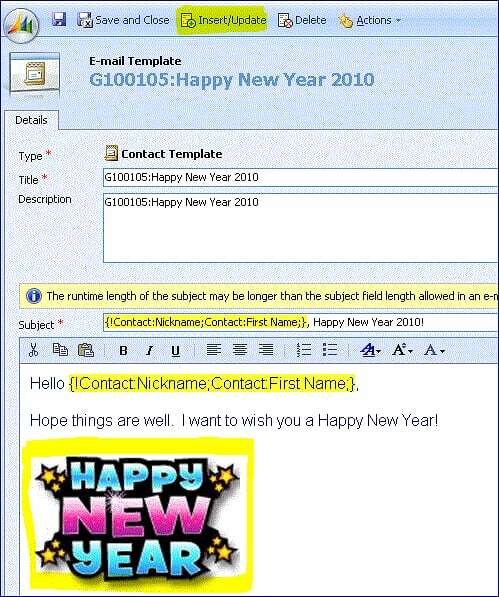 With features like Bulk email Blast and Field Merge "Mail Merge", emailing with Microsoft CRM is an easier and greener way to spread the holiday greetings. 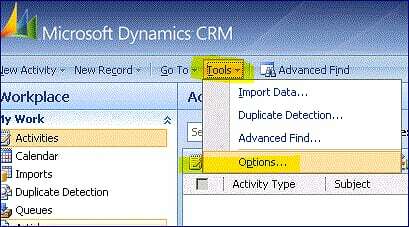 Here are the steps to easily accomplish this with Microsoft Dynamics CRM v4.0 or Microsoft CRM Online. 1. Host any email content picture(s) or image(s) on a publicly accessible website. 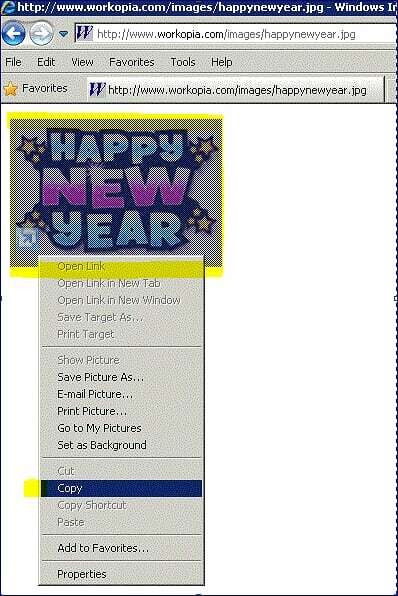 You will copy the displayed images from the Internet Explorer (IE) browser into your email template in a later step. This approach helps keep your email size small for faster processing. Note: If you don’t have access to your company’s public website, then I would suggest hosting your image(s) on one of the many popular internet file storage sites such as Windows Live SkyDrive. 3. 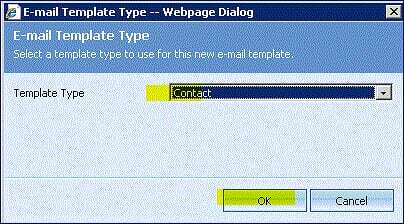 Construct the personalized greeting content with merge fields "mail merge", pictures and images. 4. 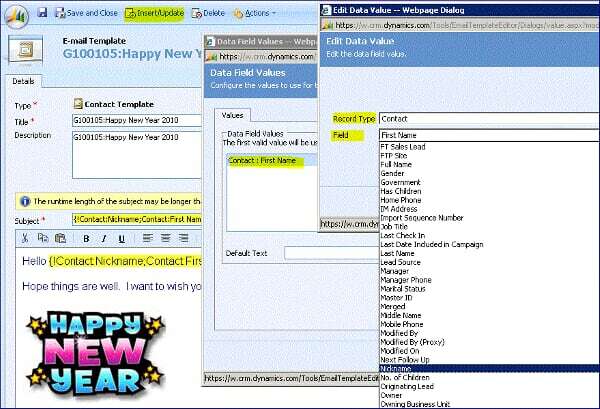 Find the list of CRM Contacts to send this greeting to. Now that you have the email content ready, we just need to select some CRM Contacts you wish to send this email to. 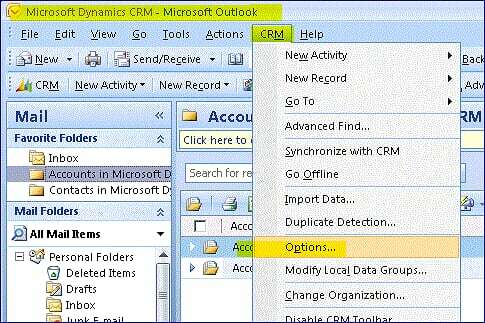 To easily lookup CRM Contacts, I prefer using the Microsoft CRM Advanced Find feature. 5. Send the Emails. Now that you have your template greeting message and your list of contacts ready, it is time for the Bulk Email Blast. From the Advanced Find result view >> click on the "Send Direct E-mail" button on the tool bar >> select the Contact Email Template created above >> select "All records on all pages" >> click on the "Send" button. That is all there is to it. Enjoy! – Always review the CRM Email Activities that were generated from the Bulk Email Blast to ensure they are sent. 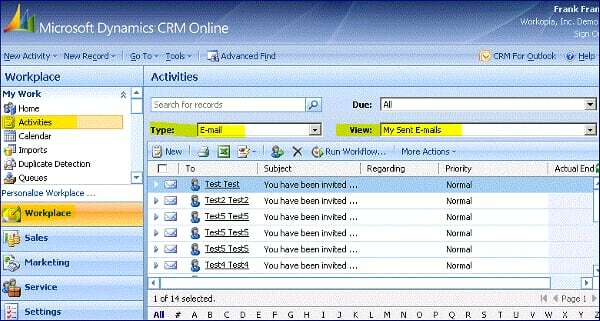 Check them via CRM Client >> Workplace >> Activities >> select Type: "E-mail" >> select View: "My Sent E-mails"
– This Microsoft CRM Bulk Email Blast method works with the Contact’s Contact Methods. 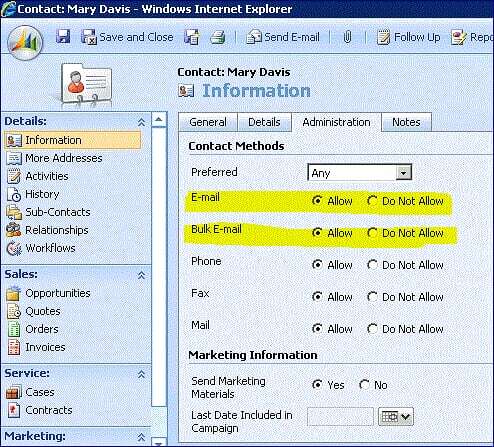 It will only email the greeting to Contacts with both the "E-mail" and "Bulk E-mail" options set to "Allow". This is a very nice built-in safety function! 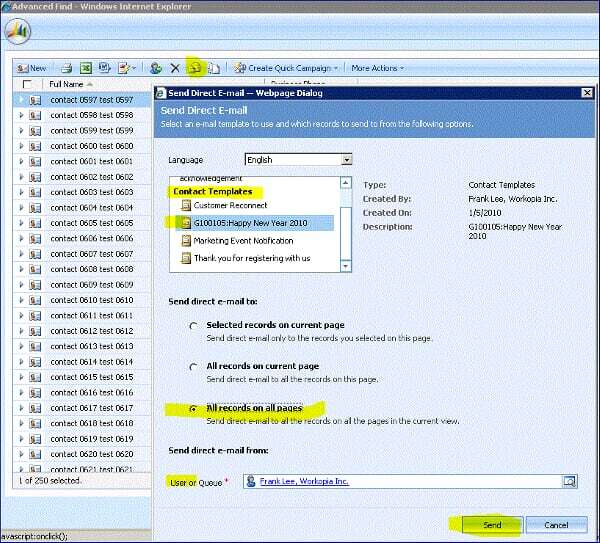 – You can also use this Bulk Email Merge approach for Microsoft CRM Leads. Caution: Be mindful about and avoid SPAM email blasting to Leads that are "Suspects"